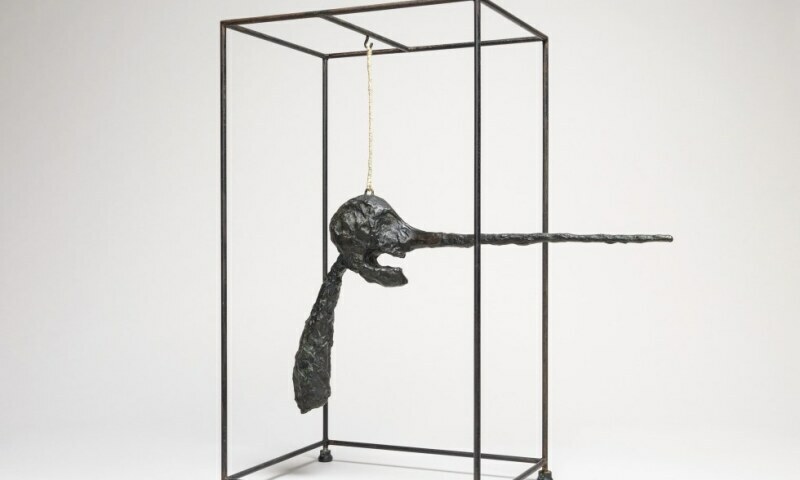 This comprehensive exhibition features more than 175 sculptures, paintings, and drawings by the Swiss artist Alberto Giacometti (1901–1966), in the first major museum presentation of the artist’s work in the United States in fifteen years. In 1955, more than 60 years ago, the Solomon R. Guggenheim Museum organized the first-ever museum presentation of Giacometti’s work in its former temporary quarters on New York’s Fifth Avenue and brought key works into its collection. A posthumous retrospective followed in the Frank Lloyd Wright–designed rotunda in 1974. The upcoming exhibition, co-organized by the Solomon R. Guggenheim Foundation and The Fondation Alberto and Annette Giacometti, examines anew this preeminent modernist who may be best known for his distinctive figurative sculptures that emerged after the trauma and anguish of World War II, including a series of elongated standing women, striding men, and expressive busts. Yet Giacometti’s rich career—spent largely working and living in France—spans several decades and various mediums, and his early production reveals his engagement with Cubism and Surrealism as well as African, Oceanic, and Cycladic art. Giacometti’s paintings and drawings, moreover, reflect his incessant investigations of the human body in sculpture, as he strove to capture the essence of humanity. A number of pocket-sized figures and heads begun immediately before the war years, for example, explore spatial concerns such as perspective and distance that became paramount to his work. Giacometti’s studio practice will likewise be a particular focus of the exhibition, examined through the inclusion of rarely exhibited plaster sculptures, in addition to ephemera and historical photographs documenting his relationship with the Guggenheim and with New York.